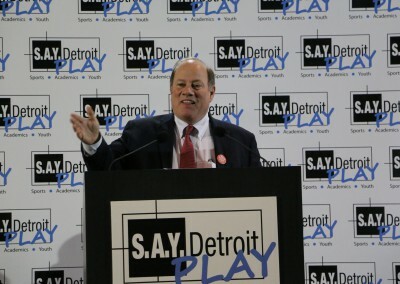 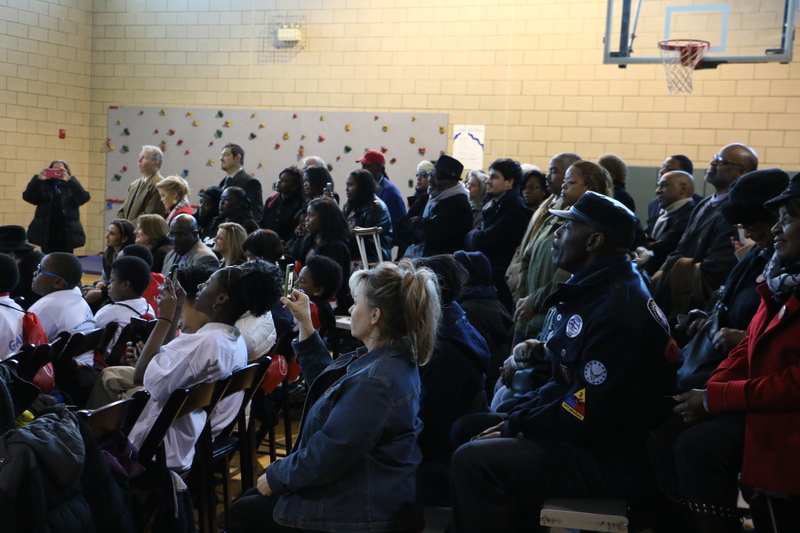 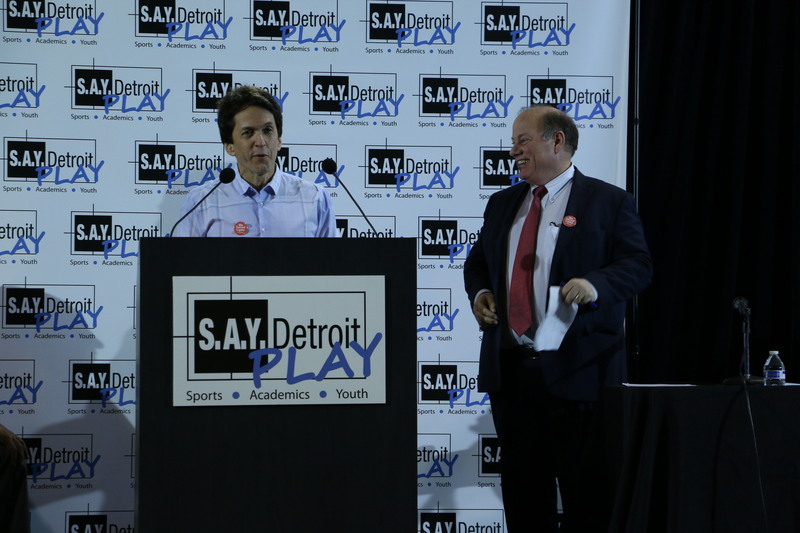 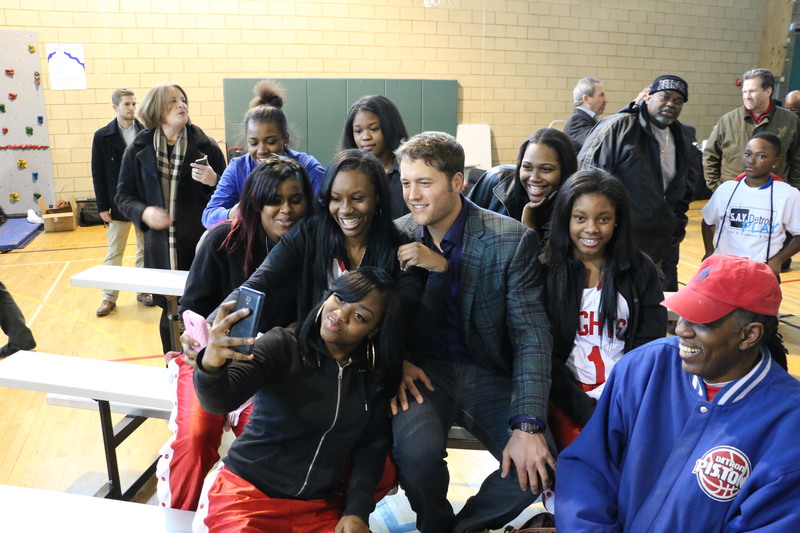 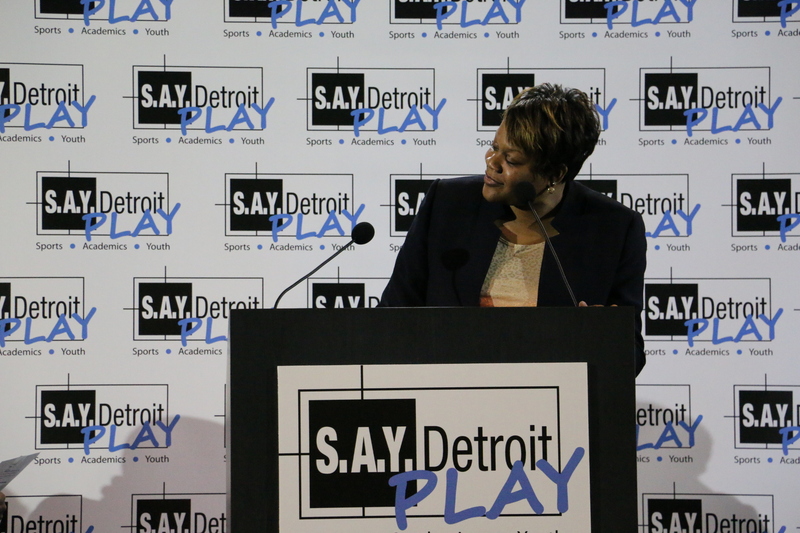 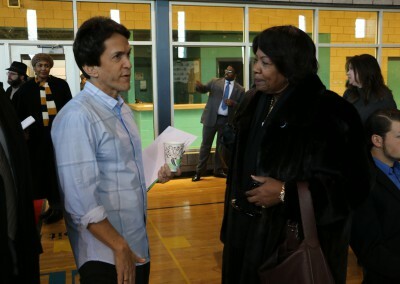 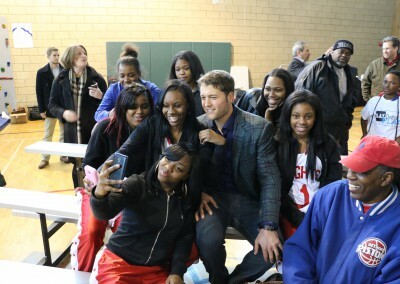 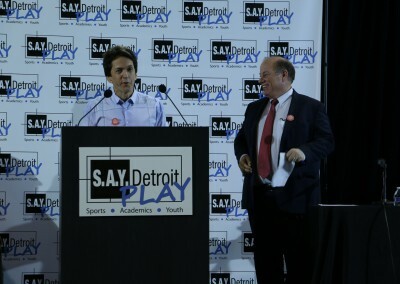 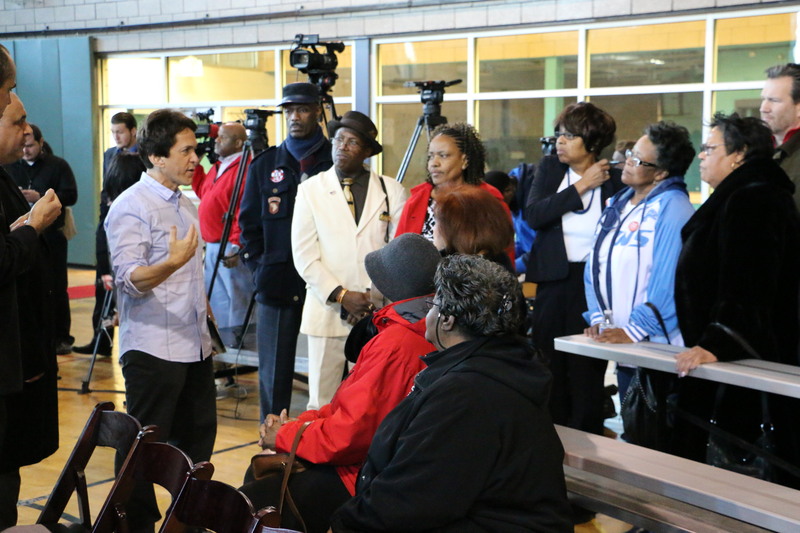 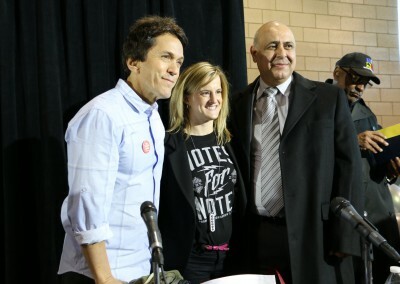 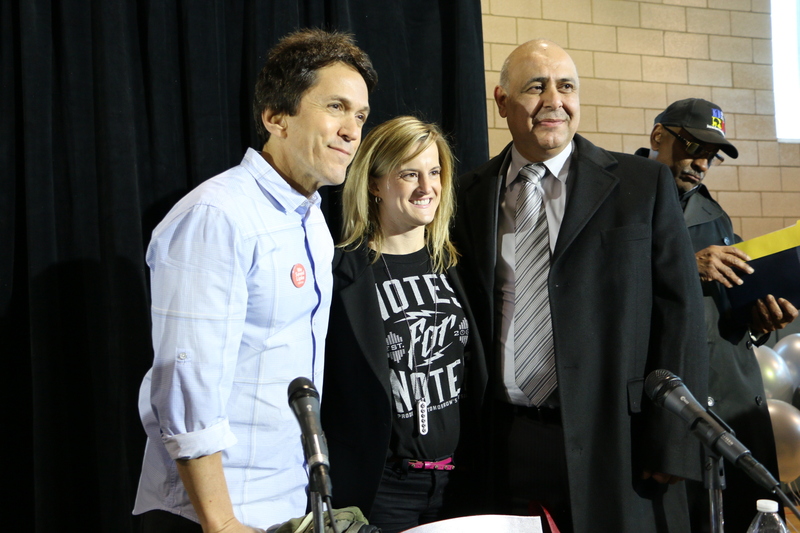 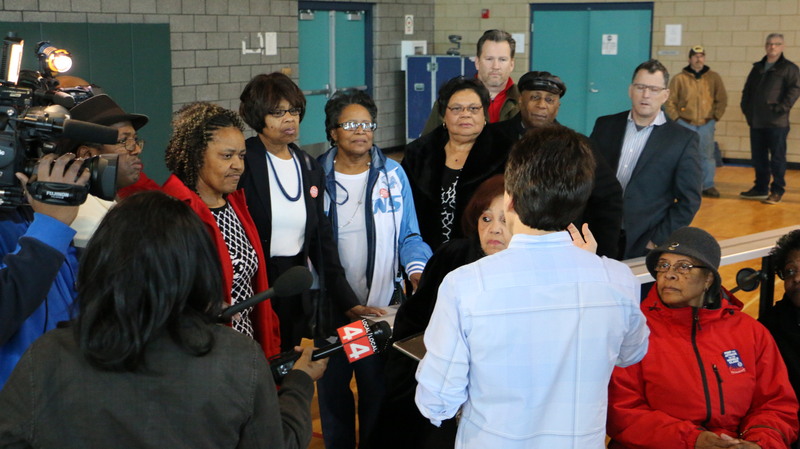 Mitch Albom, Lions QB Matthew Stafford and Detroit Mayor Mike Duggan gathered at a press conference on January 27, 2015 to announce an innovative motivational learning program S.A.Y. Detroit Play Center. 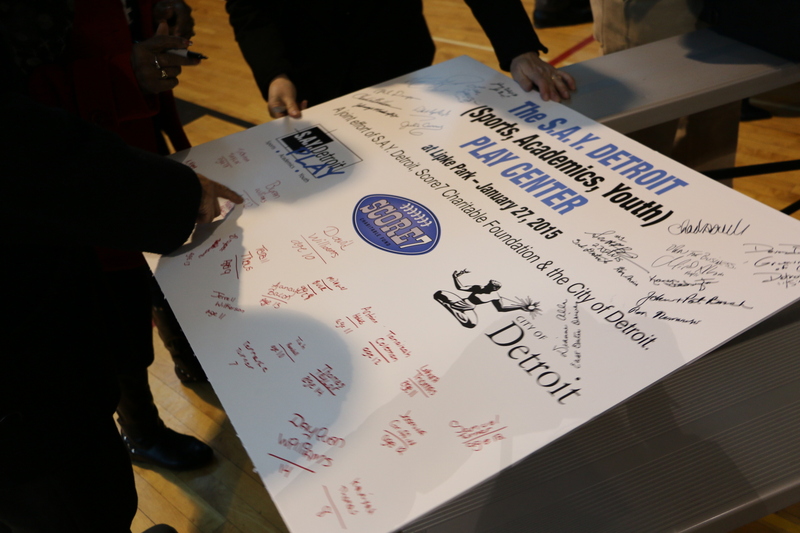 It will house sports and academic facilities that serve the academic, social and physical fitness needs of under-served youth in Detroit. 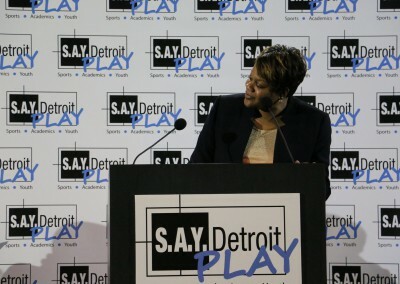 Detroit, Michigan – S.A.Y. Detroit, in partnership with the City of Detroit, and Score7 Charitable Fund (Matthew Stafford’s Charitable Foundation), today revealed plans for a unique new Academics and Sports Program, called the S.A.Y. Detroit Play Center (Sports, Academics, Youth) reclaiming an abandoned recreation center in Lipke Park, that was closed in 2014 due to city budget cuts. 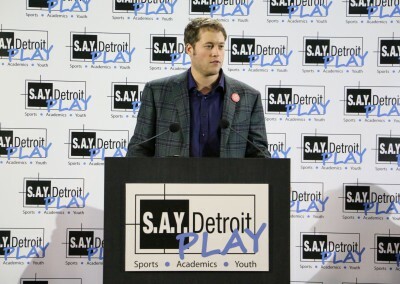 Located on 14.2 acres in the Osborn School area, the new S.A.Y. Detroit Play Center at Lipke Park will take a unique approach to Motivational Learning, offering top flight athletic facilities and access to professional athletes such as Matthew Stafford – but only if participants (students aged 8 to 18) maintain a certain grade point average and school attendance or enroll in the daily tutoring program on site, as S.A.Y. Detroit will build a 2,500 sq. 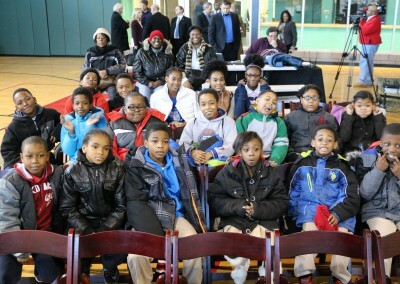 ft. digital learning center for that purpose. 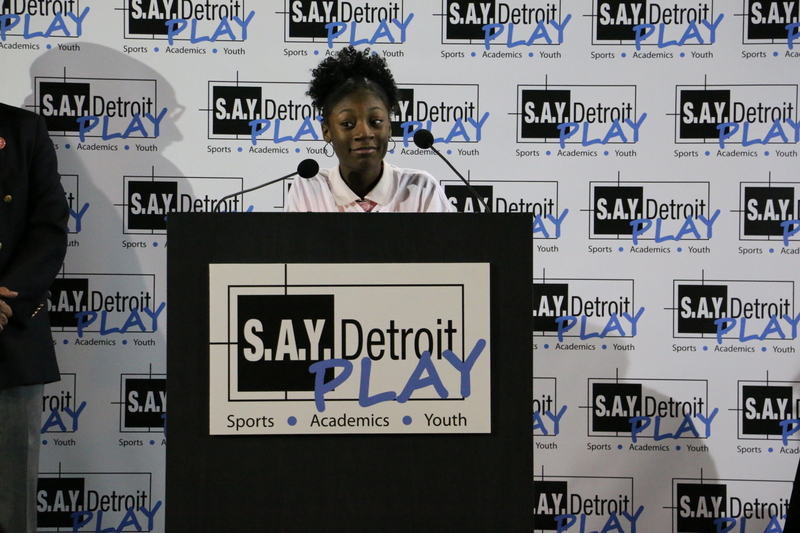 The goal of the S.A.Y. Detroit Play Center is to increase academic performance, attendance and graduation rates, and to heighten social, self-esteem and professional presentation skills, all within the confines of a safe and well-operated facility. 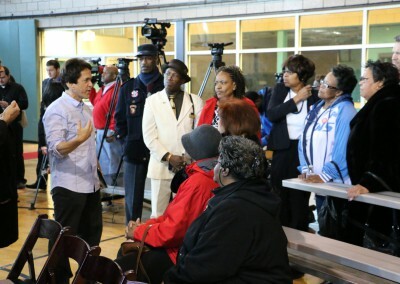 An added benefit is taking a vacant eyesore to the community and giving it a new life and purpose. 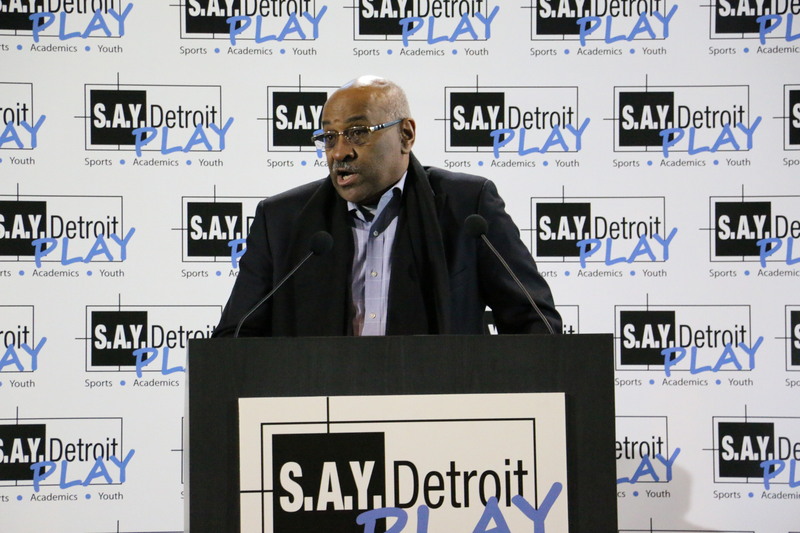 The overall investment in the 10-year revitalization plan is estimated at $10 million, including a Capital Investment of $2.5 million. 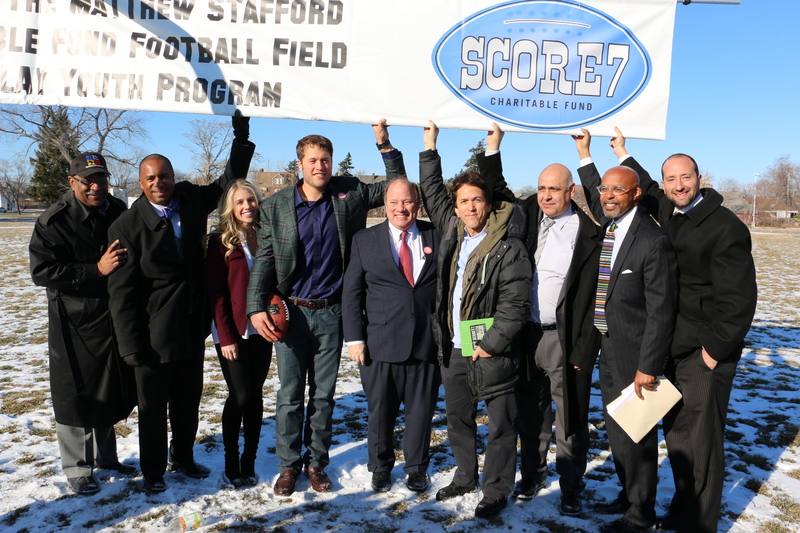 This includes an investment of $675,000 by the City of Detroit ($425,000 being a DNR Grant), and seven-figure commitment from the Score7 Foundation. 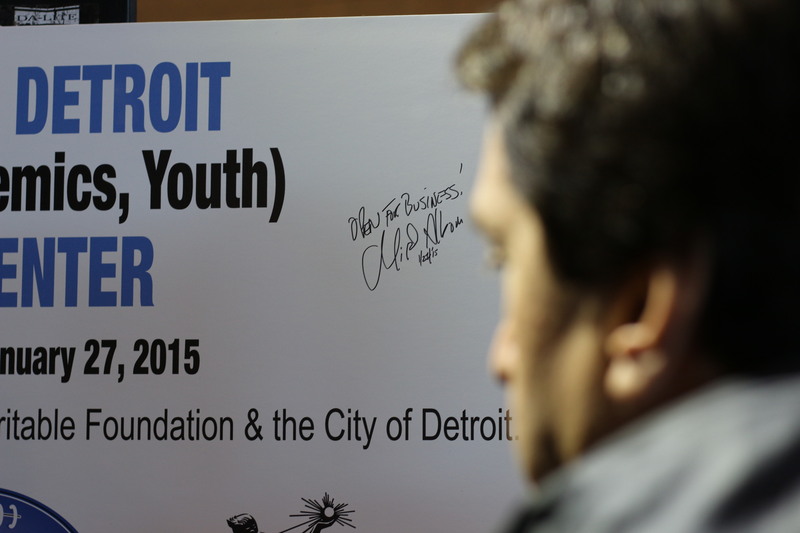 The plan will be presented soon to the Detroit City Council. 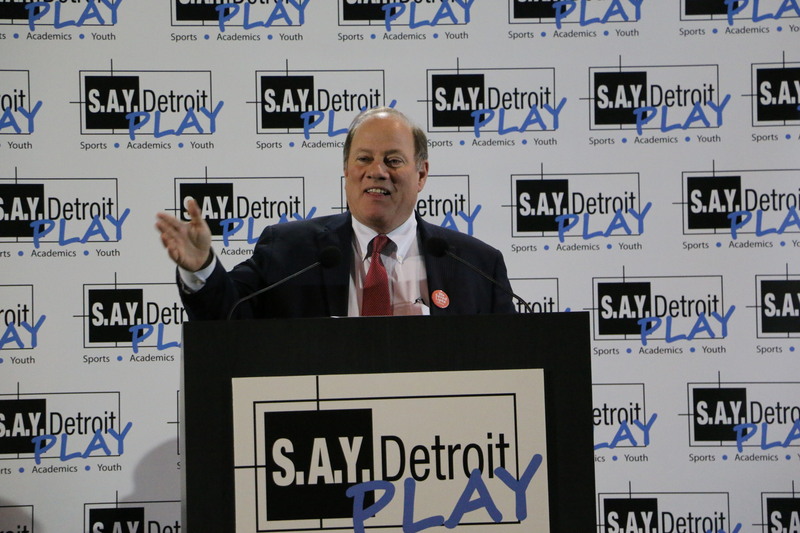 Mayor Mike Duggan praised Albom, Stafford and the other partners for stepping up to provide this new and improved educational and recreational opportunity for Detroit Youths. 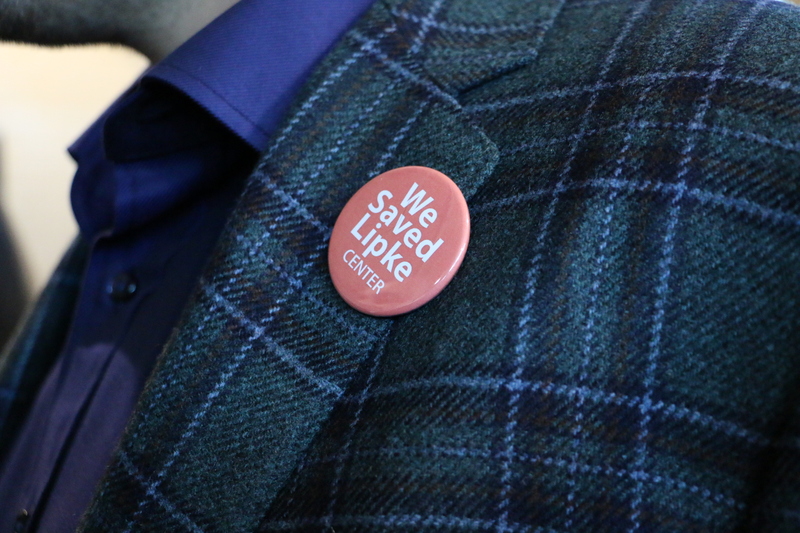 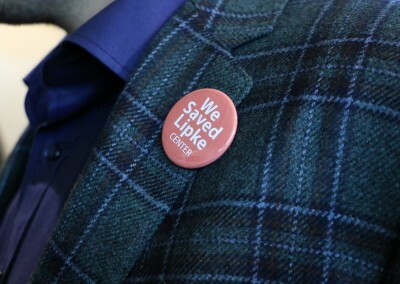 He also cited their cooperation with and support of neighborhood groups surrounding Lipke Park. 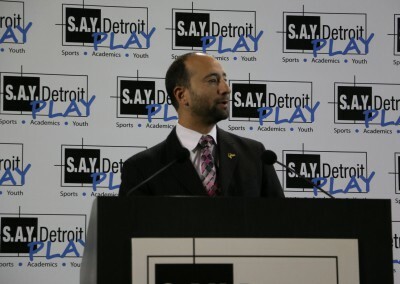 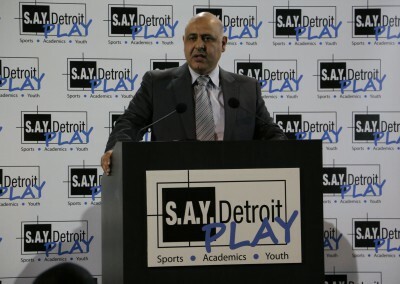 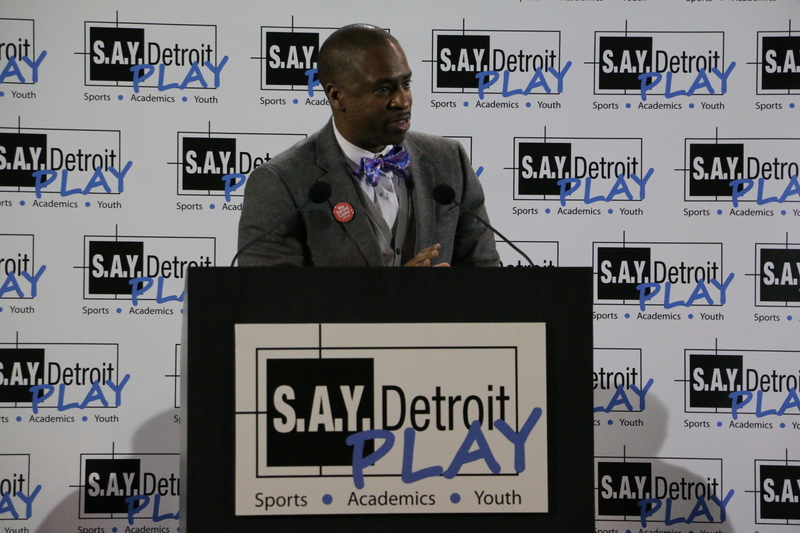 The S.A.Y. Detroit Play Center, which will eventually serve all of Detroit, initially will work with nearby schools to monitor the progress of students and ensure they are meeting the entrance standards, as well as identify the areas in which they need work. 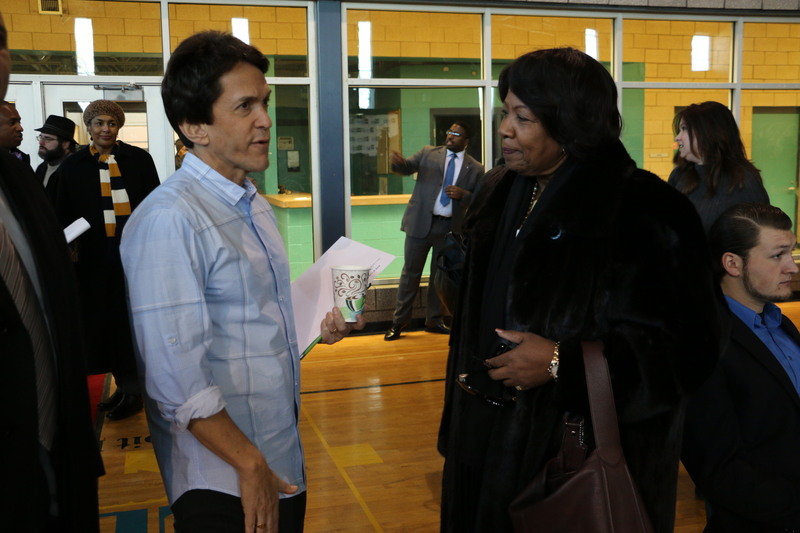 Those below the grade point and attendance standards will be eligible for on-site tutoring and mentoring. 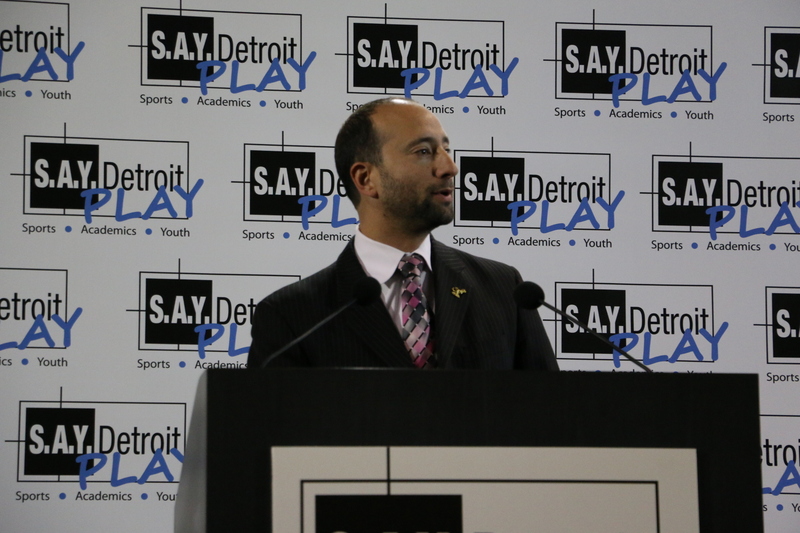 If they put in the hours in the Academic Center, the athletic programs will be available to them. 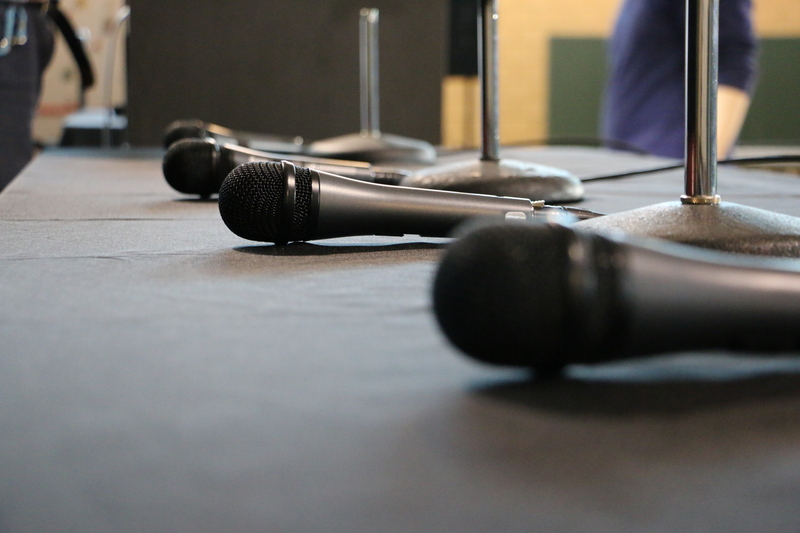 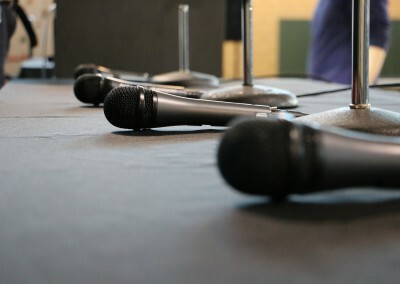 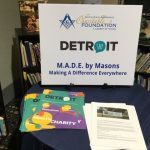 There will also be programming for dance and music, including plans for a recording studio funded by Notes For Notes, a national educational music organization. 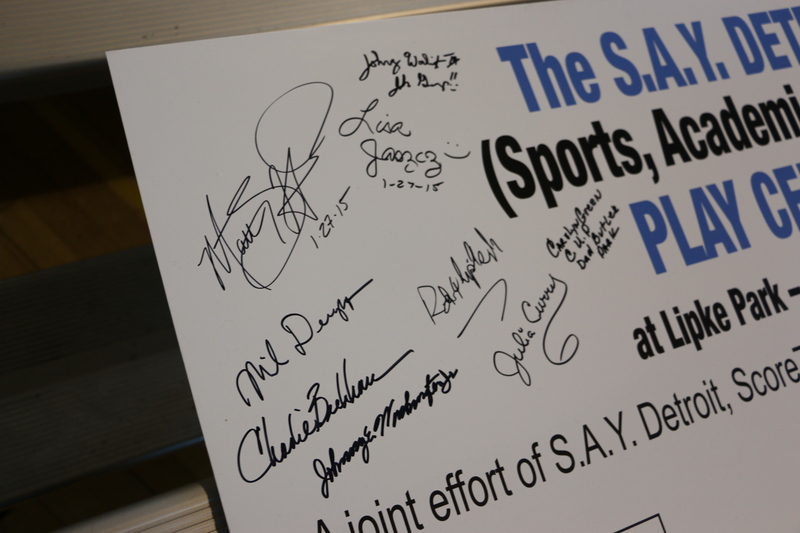 S.A.Y. Detroit will immediately begin repairs and refurbishing of the facility. 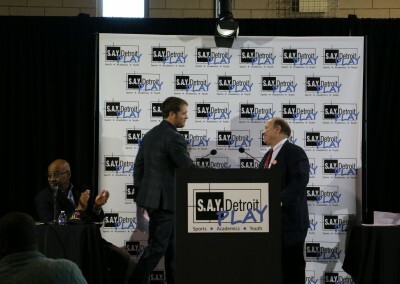 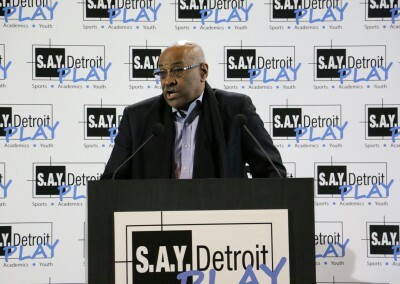 The City of Detroit will lease the property to S.A.Y. Detroit on an affordable, long-term basis, and construction on the football, baseball, and soccer/lacrosse fields will begin in the Spring, with the goal of a soft opening in Summer, and full operation by September. 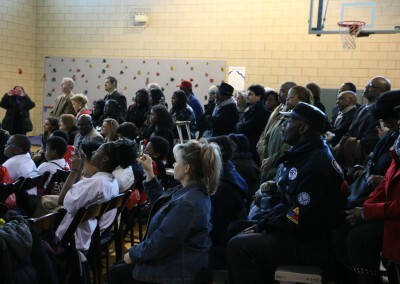 The planning horizon includes an initial three-month reconstruction period through April, to rebuild and refit the current facility (including replacement of stolen HVAC rooftop units), followed by the completion of the outdoor football/baseball/soccer fields by early summer, followed by a “soft opening” by Fall 2015. 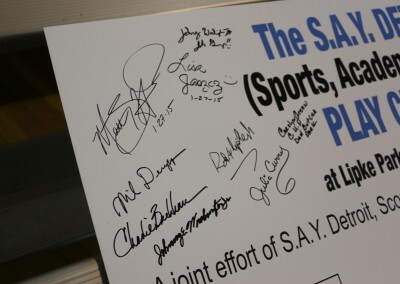 Several of the outdoor athletic fields, when not in use for programmed activities, will be available for use to the general public. 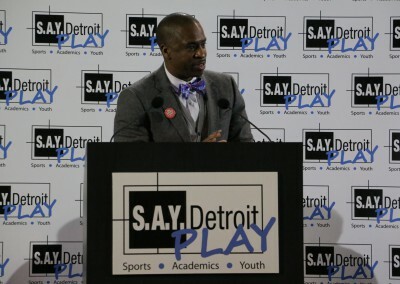 S.A.Y. Detroit, formed in February 2006, is a fully formed 501(c) (3) charity aimed at improving the lives of the neediest citizens, through shelter, food, medical care, volunteer efforts and education. 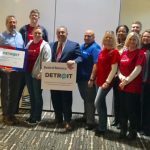 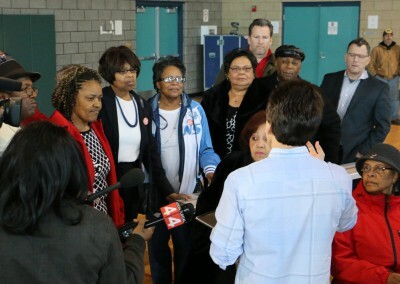 It serves as the umbrella for ongoing major projects including A Time to Help, S.A.Y. Detroit Family Health Clinic, and Working Homes/Working Families, and funds dozens of projects for Detroit-area Agencies. 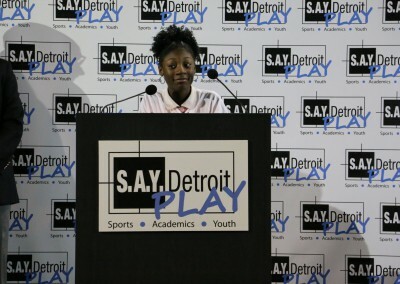 To learn more about S.A.Y. Detroit, visit mitchalbomcharities.org. 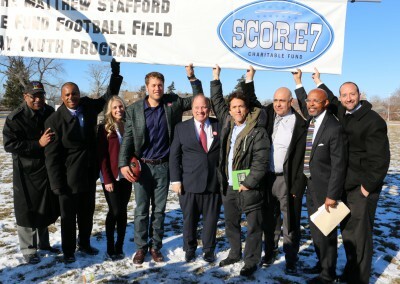 Score7 Charitable Fund is a 501 (c) (3) Charitable Foundation, established for the purpose of providing opportunities through educational enrichment, mentoring, leadership initiatives, and sports activities for school-aged boys and girls of all backgrounds throughout the country. 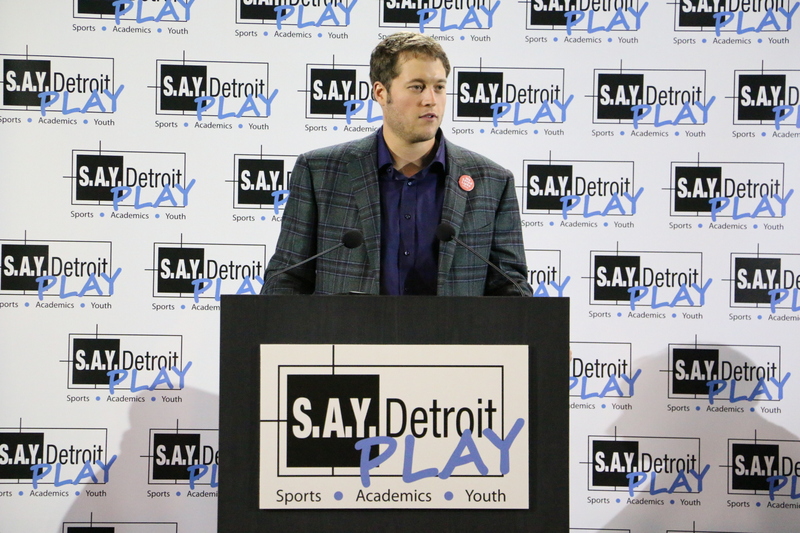 Notes for Notes® is very excited to announce the development of their newest studio in Detroit in partnership with the S.A.Y. Detroit Play Center at Lipke Park. 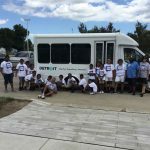 Notes for Notes® is a non-profit organization which builds, equips, and staffs after-school recording studios packed with guitars, drums, keys/synths, DJ gear, digital music stations and full recording studios offering youth completely FREE access to explore, create, and record music. 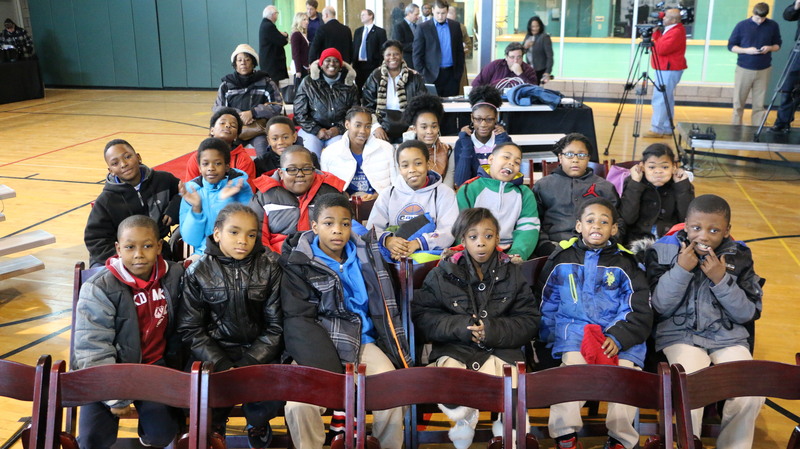 The organization currently has six of its after-school studios in communities around the country with another six on the way in 2015. 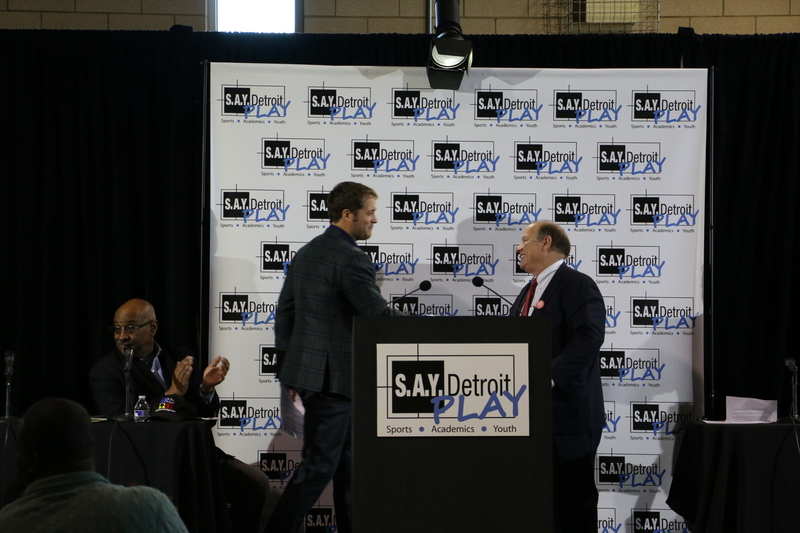 The new Detroit studio is supported by an incredibly generous community of local and national companies, artists, and foundations who believe in supporting the youth of this amazing city.